I doubt many people have even heard of this console let along played on one! Here is an even better video I found, in 2 parts! It's amazing how many of these unknown systems existed. Cool! Throw in a calculator Casio and you got my order. 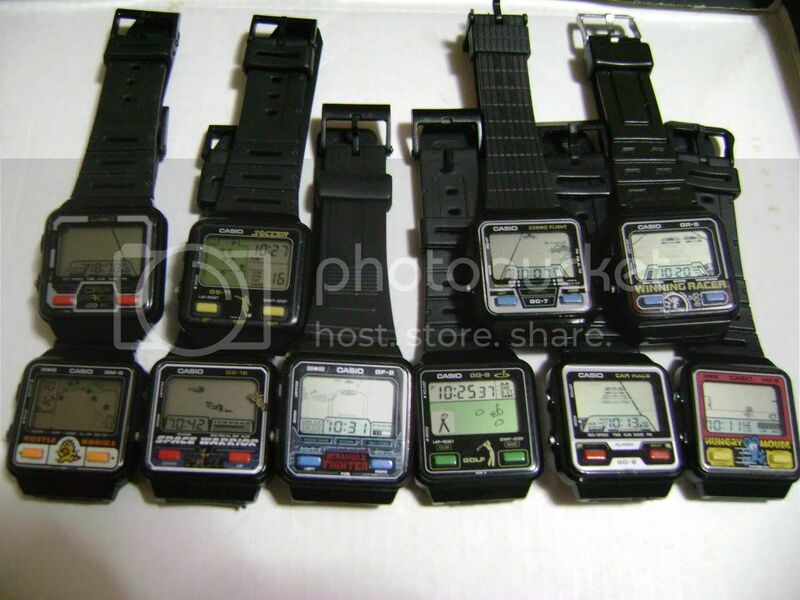 Iirc, Casio were the first company to sell a digital wrist watch with a built-in videogame. They made a range of such wrist watches too so they've some gaming heritage at least. Wow! I had never seen any of those watch games. I do remember a kid at school had a Pac-Man game watch. Those are really neat! I would guess durable as well. Casio always seemed to make well built products. I'm sensing you'll be searching ebay soon! LOL No new toys anytime soon. I had one of those! A Pac-Man Casio watch. How I avoided paying attention during class... LOL! That is cool DZ-Jay! Myself and and a schoolmate used to bring our Coleco tabletops into school. The teachers even had fun with those. I brought Donkey Kong and he had Frogger. Frogger seemed to be the bigger hit. A few "games" for the Casio Loopy! Really nice looking games. Limiting it towards girls might have worked if it had been a Hello Kitty themed console.